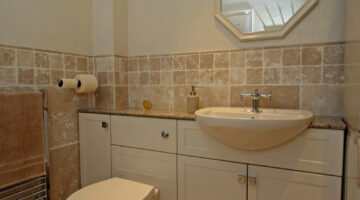 The bathroom typically takes a beating in most homes, And it's definitely the least fun room to clean! Here, homeowners are sharing their best tips for cleaning, decorating, and keeping your bathroom smelling great! If it involves the bathroom shower, tub, toilet, countertop, or vanity... we're talking about it here. Poo Pouri is a GREAT poop spray! I’ll never buy traditional bathroom sprays again – because it’s so much more effective to use a toilet spray than an aerosol bathroom deodorizer. 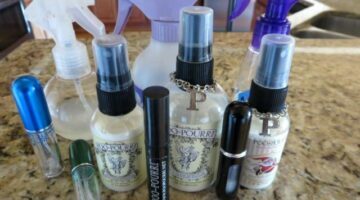 Here’s how to combine essential oIls & water to make your own homemade Poo Pourri recipe. The original Poopouri before you go toilet spray makes a great gift, but this homemade poo spray is what I keep in each of the bathrooms in my home. 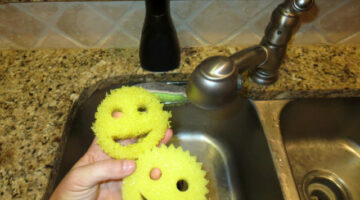 Scrub Daddy makes 2 sponge holders that fit their smiley face sponges known as Scrub Daddy and Scrub Mommy. Both the Scrub Daddy Caddy and the Scrub Daddy Sponge Caddy will keep your Scrub Daddies and Mommies out of the way — but still close at hand in the kitchen sink, bathroom sink, and shower. 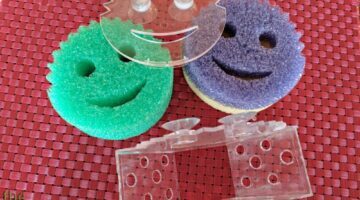 This type of sponge holder also helps the smiley face sponge air-dry faster. I keep one in my shower and one in my kitchen sink. The Scrub Daddy sponge, a popular kitchen scrubber, gets SOFT in hot water and HARD in cold water. Plus it doesn’t hold onto food & odors. Lots of fun uses here! Window fogging in our house was driving me crazy – until I found the humidity levels in our home were too high. A dehumidifier and some Damp Rid turned out to be the best window condensation fix! Here’s everything you need to know about sealing granite countertops, cleaning granite countertops daily, plus tips for preventing staining and etching. Few, if any, flooring experts recommend steam cleaning hardwood floors. So I haven’t – til now. My experience using the Monster steam mop vs Bona spray mop. Is your fiberglass tub scratched or cracked? If done properly, a fiberglass repair can look as good as new and should provide many years of trouble-free service. Here’s how to repair a scratched or cracked fiberglass tub. Toilet Paper Orientation Over vs Under: Here’s Proof That Toilet Paper Roll Direction Does Matter! I have finally discovered the correct way to hang the toilet paper roll! Right: rolling down from the top. Wrong: rolling down from the bottom. Here’s how I know this is the CORRECT toilet paper orientation as it was always supposed to be. In terms of hardness, Travertine is about as hard as Marble, but not as hard as Granite. I’ve learned firsthand that keeping your Travertine surfaces looking their best requires some extra attention when it comes to cleaning… and sealing. These tips will help you keep your Travertine looking great for years. I used to spend a fortune on those foaming soap dispensers filled with Dawn dishwashing soap! Not any more. Now I refill those pump bottles with my own homemade foaming soap. Here’s how to make foaming soap. 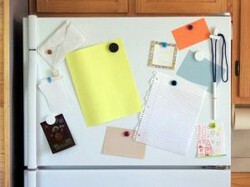 Plus, how to make your foaming soap bottles look much more attractive on your kitchen counter! One way that you can quickly damage a cultured marble countertop is by not cleaning it properly. Here is the proper way to clean a cultured marble countertop. If you’ve ever had a marble countertop — either cultured marble or solid marble — then you know how easily they can be damaged. 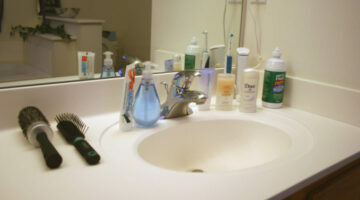 Normal wear and tear alone can leave your countertop or vanity looking less than stellar, mostly due to minor scratches. 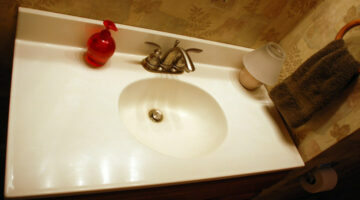 Here’s how to restore the color and shine to your marble countertop or vanity sink. In the end, doing everything yourself will usually cost more — in terms of money, wasted time, and errors due to inexperience. Tackling too many DIY projects will also cost you in terms of the amount of time you could have spent with your family and the time you could have spent taking care of yourself. 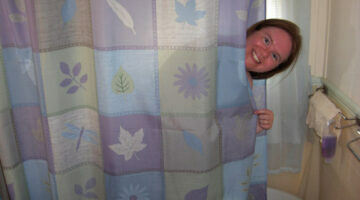 Throughout my cleaning career, I have cleaned a lot of showers and tubs — many times without great success. But over time, I’ve found what I consider to be the best products and methods for soap scum removal. I seem to be on a mission to document every possible way that Magic Erasers can be used to solve unique problems around the house. So I thought I’d share this latest helpful idea: Use Magic Erasers to remove a bad stain from a bathroom tub surround. 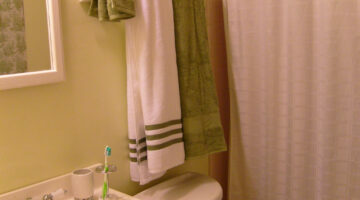 Here’s the most practical folding technique of them all… one that everyone can use on a daily basis: How to fold towels & keep them looking great during use in your bathroom! Some fun and creative ways to fold bathroom towels into unique shapes, including animals. I got tired of dealing with all of the stains and build-up on our toilet seats. Now, I’ve found the best toilet cleaning products around. Don Aslett’s toilet cleaning system is the best! 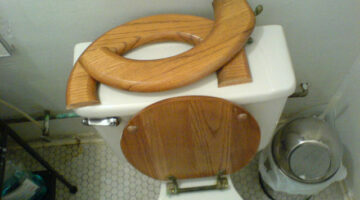 Need to replace a toilet seat? I just replaced three. Here are the choices and characteristics of toilet seats that might affect your decision when picking out a new toilet seat and lid. Top 10 Bathroom Upgrades… Definitely Worth Considering If You’re Remodeling A Bathroom! Moving? Remodeling? Renovating?… Here are the Top 10 bathroom renovations that today’s homeowners are concentrating on. If you’re thinking about updating your bathroom, check here first for the best bathroom upgrades. Did you know that most people prefer ‘over’. Yep, most want their toilet paper to come from the top of the roll and drape down toward the floor. What about you?… What’s your toilet paper preference? Bathroom Secrets: Do You Snoop Inside Medicine Cabinets? Do you snoop inside medicine cabinets? Should you? Believe it or not, there may be a good reason to snoop inside your friend’s medicine cabinet these days! Here are some interesting facts about this and other odd bathroom behavior, plus some funny bathroom pranks!